The past week has been a little ramped up with action for me. Last Wednesday night, I ran around SE Hawthorne Boulevard running things around for the six-ring circus that was LitHop PDX. 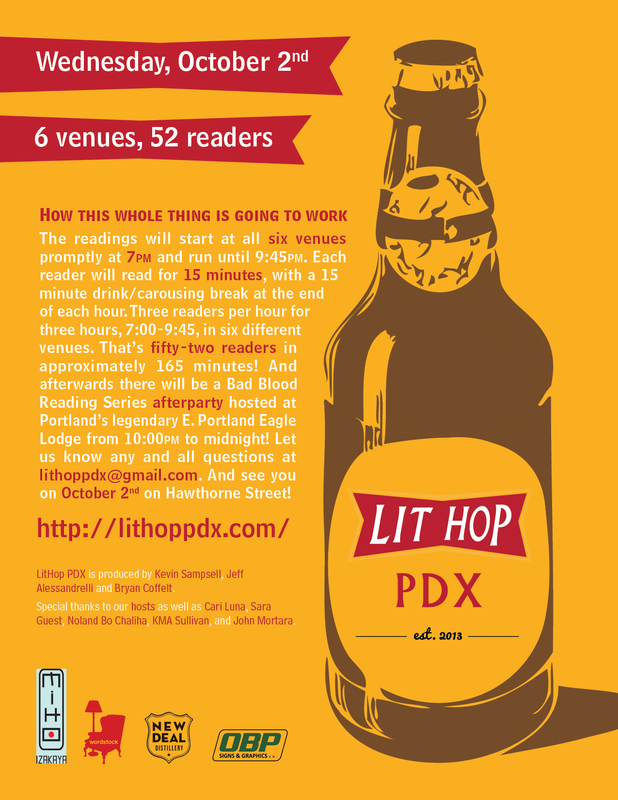 This is a crazy bar-hop reading that I’ll be co-producing at least once a year with Portland poets Jeff Alessandrelli and Bryan Coffelt. Despite the early downpour of rain, the night was super fun and every venue was full. The three-hour, 56-reader event was recapped in the The Nervous Breakdown and Portland Mercury. Watch for another one next year, probably late spring. After that, we had a fun time at Wordstock as well. Selling Future Tense books and talking LitHop with friends at our booth. Future Tense authors Chelsea Martin and Jamie Iredell were here in Portland for that too. Some early copies of Jamie’s book, I Was a Fat Drunk Catholic School Insomniac, were on hand and they look awesome (it’s officially out from Future Tense on the same day as my novel: 11/12/13). Oh, and Mike Young was here too! 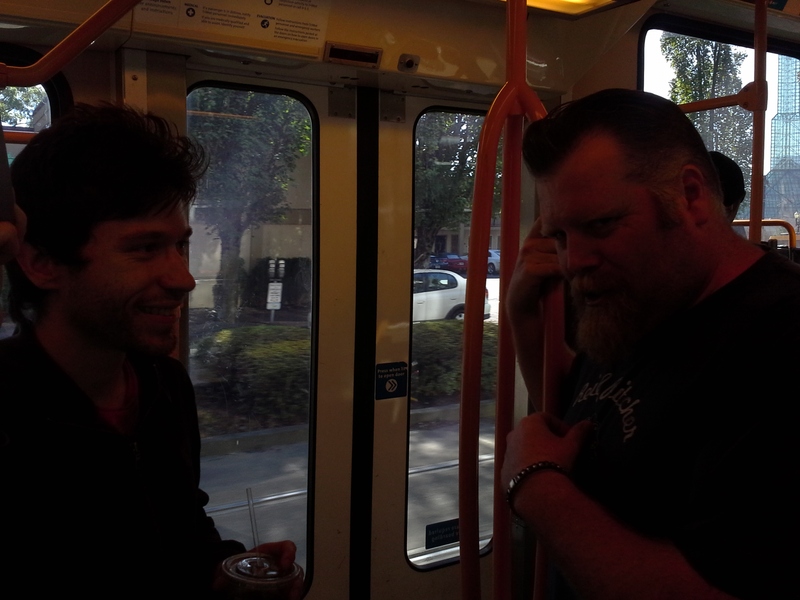 Mike Young and Jamie Iredell riding the Max into downtown Portland. 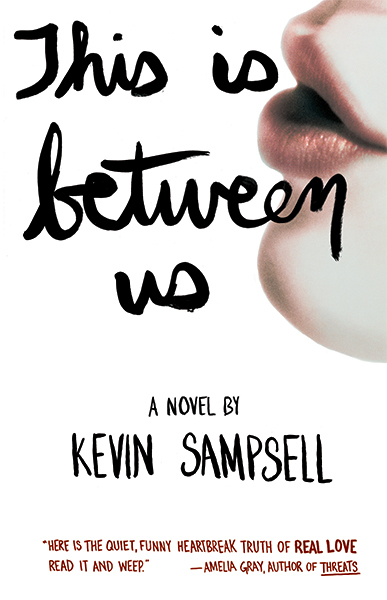 On Sunday morning, I went out to the Pacific Northwest Booksellers Association Conference and signed copies of This Is Between Us for a long line of librarians and booksellers for an hour. 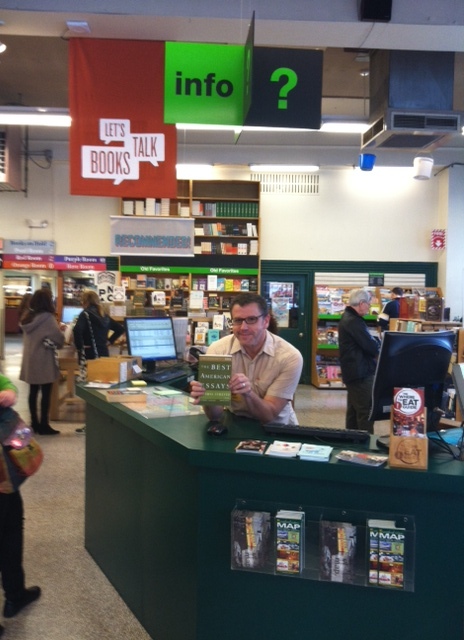 Yay, booksellers!! My people!! In other news, Best American Essays 2013 is now out. I’m so honored to be in it (my essay, I’m Jumping Off the Bridge) alongside other fantastic writers like John Jeremiah Sullivan, Charles Baxter, Vanessa Veselka, and Michelle Mirsky. Being in this book is a milestone for me. I’ll be doing an event with Vanessa, Michelle, Brian Doyle, and editor Cheryl Strayed on Tuesday, October 29th at Powell’s on Cedar Hills Boulevard. I hope you’ll come celebrate this special collection with us. Holding the beautiful new Best American Essays at the very info desk that I write about IN the essay! Life is crazy. Thanks for reading, friends. Enjoy your early Fall weather!